Freezer Cooking can help you save money, save time, eat better, and keep your cool. Here’s how. This morning I took stock of the contents of our freezers. We have two: a 15+-year old deep freeze in the garage and the regular side-by-side in the kitchen. The former is filled to the brim. I’m not sure when that happened, but apparently, we’re in good shape for the month. I cleaned out the kitchen freezer so that it is more user-friendly. I discovered over the summer pantry challenge that if I used the kitchen freezer as a holding place for the week’s meals, things would go much more smoothly at meal times. The deep freeze is just that, for deep storage. I started freezer cooking about 16 years ago when I was pregnant with my first child. I’ve done it off and on for the past decade and a half, sometimes spending a crazy day to fill the freezer, other times, just doubling a batch of dinner and freezing that second batch for another time. In other instances, I’ve processed a lot of one ingredient, like apples, and stored the veritable fruits of my labor in the freezer. save money because you are cooking in bulk — and benefitting from bulk pricing. save money because you avoid eating out. save time because you already have the meal prepared. eat better because you can control the ingredients in your own “TV dinners”. keep your cool because the “what’s for dinner?” question is answered quickly just by surveying the contents of the freezer. I’ve explored these aspects of freezer cooking in more detail in my book, Not Your Mother’s Make-Ahead and Freeze Cookbook. I’ll be sharing little tidbits, tips, and tricks to get your freezer in better shape over the next 31 days. 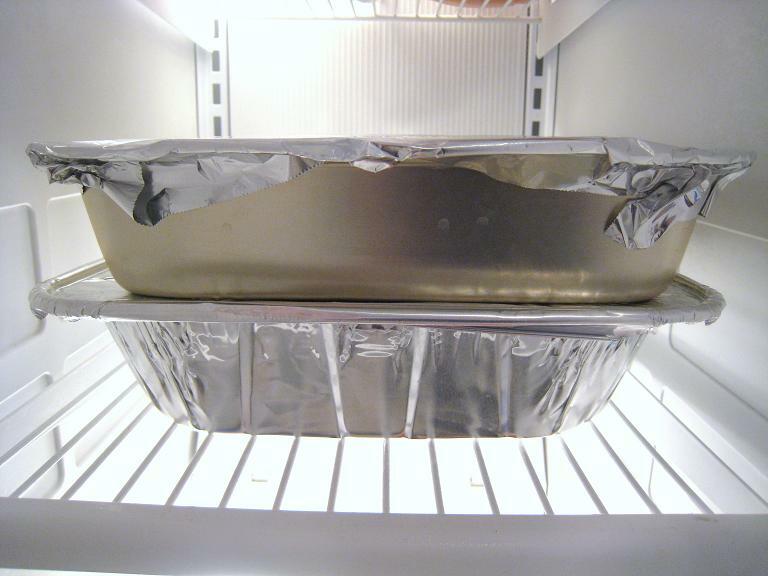 Your freezer is designed to help you make meal times better. Maximize this amazing home appliance! Don’t want to miss a post in this series? Subscribe to 31 Days of Freezer Cooking by RSS or email. What I am most interested in learning about freezer cooking is this: How can I, as a work-away-from-home mom of a one year-old, fit freezer cooking into my craziness? I’m sure it takes shape in the idea of doubling batches, but if you have more specific information, I would greatly appreciate hearing it. Thanks! I am a work-away-from-home mom of 5 and have been freezer cooking for years. Doubling recipes is definitely an easy way to get your freezer filled without a lot of extra effort. Another trick I use is one I came across on a blog where the blogger put whole meals together in a freezer bag (chicken breasts, red/green peppers, onions, some herbs & spices). Then, she would choose one in the morning, dump it in the crockpot to cook all day, and come home to a lovely meal. I think that idea is brilliant! (If I can find the link later, I will try to post another comment with it.) My final tip would be to fit some cooking in over the weekend, if possible. I love Jessica’s idea of grilling or baking a whole bunch of chicken at one time and dividing it into meal sized portions to speed up weekday dinner prep! I am sure Jessica has many more ideas, but these are just a couple starters! @Lynne, Thanks for the tips, Lynne! I have seen some of the freezer to crockpot meals you are talking about. I tried two recipes I found via Pinterest, but we didn’t like them. I’d be interested to try some others, though. @Lizzy, I’m going to agree on the ICK-factor of the freezer to crockpot meals. If they do not blanch the vegetables before freezing (or use commercially frozen vegetables) and saute the vegetables and meat before adding to the slow cooker, the texture will be severely compromised. It’s a great idea, but it just doesn’t work in practice. I tested it out last winter and was extremely disappointed. I don’t recommend trying more of those recipes unless the method involves some of the steps above. @Lynne, have you tried the freezer-to-slow cooker recipes? Based on my testing, I’m skeptical that many of those I’ve seen on pinterest will actually taste good based on the freezing and cooking methods used. I must admit I haven’t caught the pinning craze, and I haven’t scoured the internet for crockpot recipes! I found this link and Stephanie’s logic sounded good to me! I did use all 3 recipes and my family found them yummy. I’m glad you liked the ones you tested! Off-topic comment: I subscribe through Google so I normally just read your posts through that but I happened to pop over to the actual site and I was so excited to see that you now have a mobile version!!!! That was something I suggested in the survey I filled out. It’s great to know you do read those and take the suggestions seriously! This will be so helpful when I’m using your recipes (shrimp tacos and garlic focaccia are our favorites!). @Emily, yes, I definitely read them. Glad that it is working well for you. Let me know if there are any bugs. We freeze meal components for the most part, and it has been such a huge timesaver. My next experiment will be freezing some rolls/bread type things for breakfasts. Loving the information and recipes you have passed along. We use quite a few of your recipes now. Your pizza sauce is the best ever. @Jenny, thanks for your kind words!